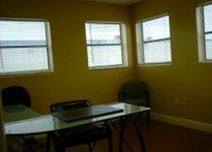 Office suites with flexible terms, great for small businesses and start ups. 24 hour keyed entry access. A number of services including storage units and network access available for your business needs. Conveniently located within the tri-county area. Brand new, architecturally appealing building, in the heart of highly prominent business area of Sunrise. Enjoy networking with different businesses as well as easy access to Sawgrass Mills Mall which boasts access to high end shops and restaurants. Close to Miami and Ft. Lauderdale. Office space in major corporate park surrounded by many successful businesses. State of the art technology with a variety of suites to choose from. Within minutes’ of high end shops and fine dining. Close to 869 expressway. The area is also very close to a multitude of amenities and local services including shops, restaurants and cafes; allowing clients to access anything they could require all within close proximity to the office. Virtual Offices available in well known corporate park of Sunrise as well as some physical offices. Meeting rooms, contemporary furnished suites, break room, full staff and ready to use technology. On-site security with easy access to high end shops and dining.